← Cooking Under Pressure, or Oh No, Not Again? 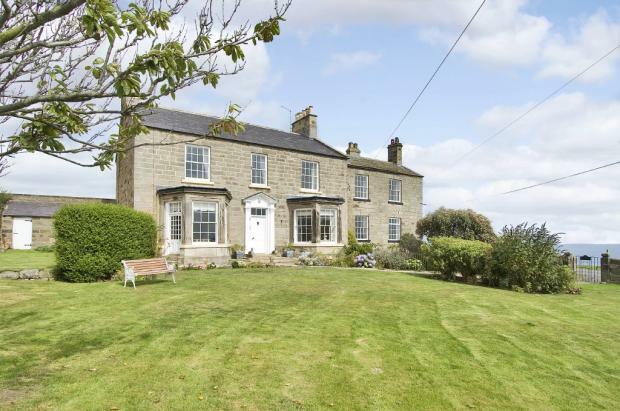 Boulby Grange, Boulby Nr. Staithes, Saltburn-by-the-Sea, England. OK. I have found my dream house. See above. Click on the photo and it will bring you to the real estate web site where you can click on the various photos of the house, inside and out. Absolutely beautiful, especially the interior photos. Wow. And it’s only a mere 375,000 pounds!!! Well, that is one little sticking point. Not sure of the rate but that would probably bring us to about, what, $562,500 US dollars? Anyway, if I’m going to dream, I want what I want. 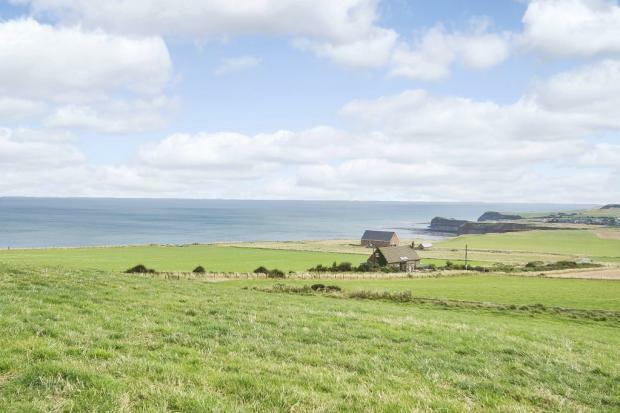 To live in Northern England, not too far from Whitby and the coast, preferably with an ocean view (this property is quite close to the edge of the cliffs in Boulby. But I noted, when looking at the MAP available on this page, that there is a house even closer to the edge of the cliffs than this house so if the cliffs eroded further, the other house would go first! And this house probably wouldn’t go down in the few years we have left! Of course, you’d probably have to have a nice little income to afford the taxes on this place. There is a lot of land with it and apparently it’s a horse kennel, as well. But I was thinking of renting out the horse part at the rear to people with horses, that would help pay the expenses. The situation of this house is very near where Paul and I stayed one year, in Loftus, or rather just outside Loftus. It’s also near the little village of Skinningrove which we visited many times and just loved. It is not posh or fancy there, but a lot of working fishermen live there and it was right up our street. Wow, I love this place. Even though, as my friend Bill Dobson, who lives in W. Yorkshire, tells me, there is a potash mine going in very nearby, I don’t care. I love this whole stretch of real estate, I love the ocean there, the cliffs (as long as they don’t erode and take the house with them) and I would be very happy to live out my days there in this house on the Boulby Cliffs. If you click on the MAP and show the “satellite” view, and pan out a ways so you can see the whole area, it’s stunning. Back to reality here – The Red Sox beat Minnesota Twins last night 11-2. Their 2nd win in 2 games. Maybe things are starting to turn for the Sox? I can dream, can’t I? 12 Responses to I’ve found my dream house…oh yeah! Oh my, this is a lovely “little” house. I would definitely come and visit and visit and visit . . . I like your dreams Bex. The roof looks nice. (I say that as an expert…) But the view is worth a few pounds all by itself. Beautiful! Looks gorgeous! And of course you would get help with the upkeep! And we would all come to visit! I don’t know the current currency rate but I always just use $1.50 = �1. It’s been so long since we went to the UK I never check the currency rates but you could very well be right. My currency converter tells me it’s more like US$637,083. But heck, it’s fantasy money, so it really doesn’t matter, right?